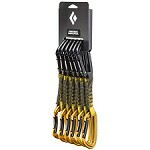 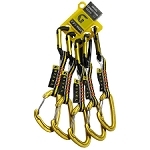 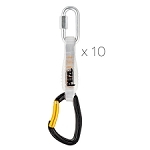 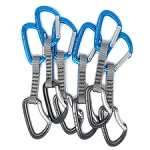 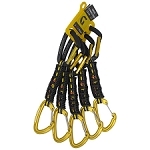 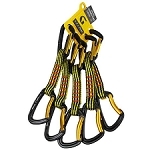 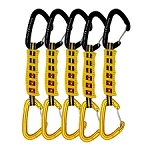 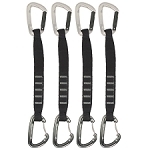 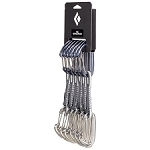 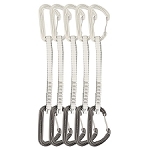 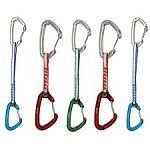 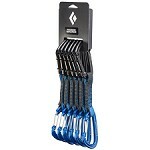 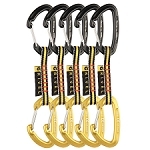 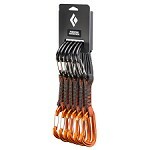 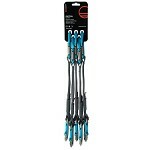 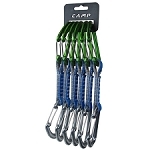 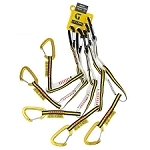 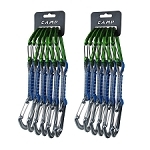 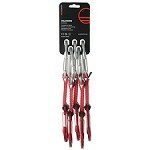 Six−pack of quickdraws with wire gate carabiners. 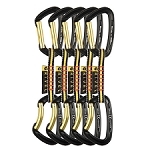 Thanks to its innovative stainless steel wire hood, the hot−forged Black Diamond HoodWire Quickpack fuses keylock functionality with wiregate performance. 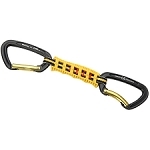 This lightweight, unique design makes for hassle−free, snag−free clipping and cleaning, plus it won&apos;t freeze up in alpine conditions or suffer from gate whiplash. 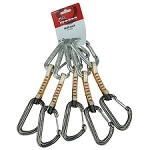 Thanks to its hot forged construction, no detail on the HoodWire has been overlooked, including an optimized nose angle and a wide, rope−bearing basket radius. 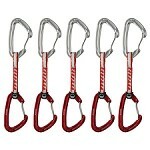 Major axis strength: 24 kN. 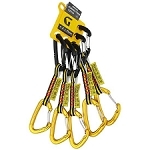 Open gate strength: 8 kN.